Our know-how in the production of diamond powder allows us to produce professional and appropriate grinding tools. They are particularly suitable for a variety of building materials such as concrete, natural stone, artificial stone, terrazzo etc. 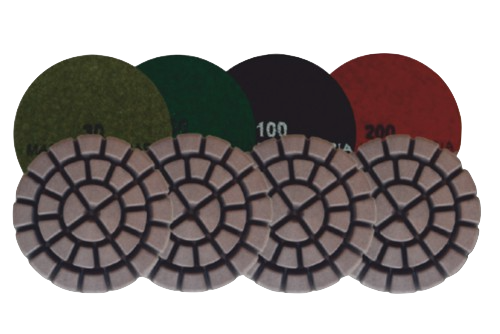 Our range of grinding tools is versatile and compatible with many machines of other manufacturers. 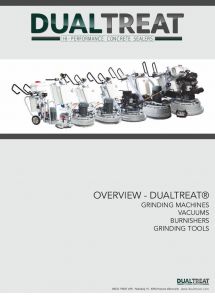 DUALTREAT® grinding tools have been especially designed for the preparation of concrete floor prior to a treatment with a DUALTREAT® system. We do not focus particularly on a single work process or type of the surface. With DUALTREAT® you can offer to your customers an integral solution, independently of whether a floor renovation is necessary or if you need to remove stains. With a DUALTREAT® dust proofing, you are able to offer your customers long-term solutions and offer them a high degree of quality, performance and aesthetics. Catalogue Grinding Tools for our partners. DUALTREAT® PCD segments are often used for preparatory work to remove old floor coatings such as epoxy or glue residues. They are excellent for concrete, natural stone and artificial stone. Recommended only for wet grinding processes. Suitable for right and left rotation. 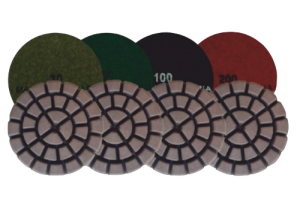 DUALTREAT® DeepGrind have been especially designed for soft, semi-hard, hard and extremely hard concrete floors. 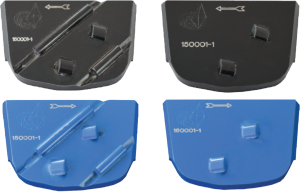 They are suitable for removing scratches caused by PCD segments after removing Epoxy coatings. DUALTREAT® Hybrid with Velcro are suitable for wet and dry grinding processes, even with heavy machines. They are the perfect tool to eliminate deep stains. DUALTREAT® MetalBond grinding discs easily remove scratches from concrete, terrazzo and screed floor surfaces. They can be used in dry and wet grinding processes. 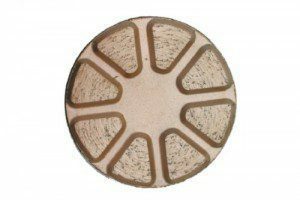 Ideal for soft concrete.